Welcome to BridgeWell Capital. We are a direct hard/private money lender specialized in providing financing for residential real estate investors in Tennessee. We provide non-owner occupied hard money loans for a single family homes in Nashville, Memphis, Knoxville and all over Tennessee. With over 30 years of investment industry experience, our management team has successfully funded over 200 million dollars in private money loans for real estate investors. Our hard money loan programs are designed for Tennessee real estate investors that need quick, easy and flexible financing solutions for their investment deals. BridgeWell Capital’s simple private money financing process enables our borrowers to get residential investment capital in as little as 7 days. One of the main advantages of our hard money lending program is our easy approval process. As a private lender, we do not have the rigid requirements of conventional lenders. Instead of looking at the individual borrower, we look at the potential success of your real estate investment projects. We qualify the residential investment property more so than the borrower, although we consider your goals and experience as an investor as well. If you are a real estate investor in Tennessee looking for private money financing, BridgeWell Capital is your solution. Call us today at 901 609-2200 for more information, or take a minute to fill out our hard money loan pre-qual form today. The real estate market in Tennessee is on the rebound. Since 2009, after the housing bubble burst, the housing recovery began at a slow pace. It was not until 2012 that we started to see the change in the market. In 2013, we see some strong signs of a long lasting improvement (and one that is likely to continue in 2014). As the state continues to make substantial efforts on the way of recovery, the housing market is experiencing an increased buying activity. The third quarter closing and year-to-date closing figures of 2013, compared to 2012, have both increased. We saw a 19 percent increase in residential closings, with 8,861 property sales completed. Similarly, the year-to-date housing transactions were up 22 percent. Not only are there more houses selling in Tennessee, but also many are spending less time on the market. 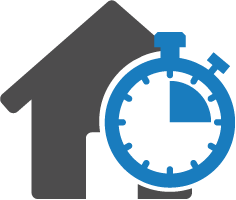 As of September 2013, the average amount of time a property stayed in the market was 70 days, almost two weeks less compared to the same period on the previous year. The housing demand and the market activity continue to climb in spite of the registered price increases. September 2013 recorded an 11.8 percent increase compared to the same period on the previous year. Home prices are still affordable, and there is plenty of demand, which makes real estate investment a strong financial investment option. A possible reason for the housing price increase trend is the shrinking inventories. Home builders don’t seem to be able to keep up with the demand. According to the Greater Nashville Association of Realtors © there were only 16,263 homes available in August, 2013, which is about a 10 percent decrease compared to the previous year. If you are a real estate investor in Tennessee, now is the time to start investing. 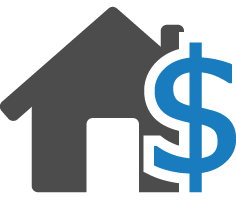 Buying a residential investment property may be hard for those using their own cash reserves. Bidding wars are commonplace in Tennessee so you should consider getting pre-approved for a hard money loan. If you would like to know how much you could increase your buying power with BridgeWell Capital’s hard money loans, call us today for more information at 901 609-2200. Tennessee is the 36th most extensive and the 17th most populous state of the United States. It covers an area of 42,144.21 square miles and a population of 6,346,105 as of 2010. Compared to the national average population growth since 2000 (which is 9.71 percent), the population growth in Tennessee is significantly higher (11.54 percent). Most of the population in Tennessee is White (77.56 percent), followed by Black (16.66 percent), Hispanic (4.57 percent), Asian (1.44 percent) and others (4.34 percent). Although there is some variety in Tennessee, the state is predominantly White. Demographics play an important role in your real estate investment decisions. Depending on the area you want to invest you will find different statistical data about factors that might affect your investments. Factors like crime rates, public schools, household income and other data of the neighborhood play an important role. 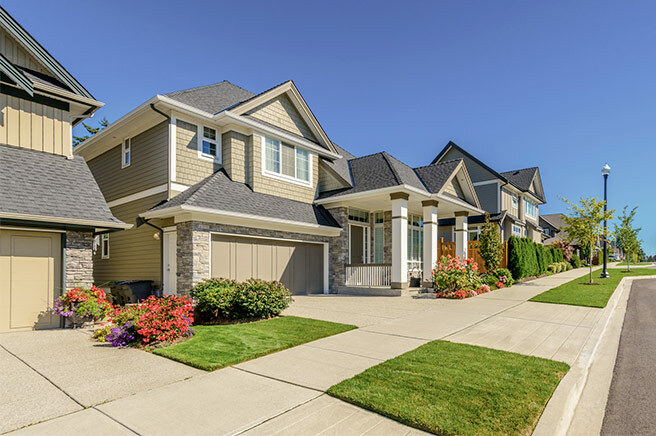 Knowing about the neighborhood can be a lifesaver when investing in real estate and a huge step towards securing financing from a private money lender like BridgeWell Capital. Real Estate Investors Associations (REIAs) provide an extremely useful source of information for both novice and expert real estate investors. Although not a requirement to qualify for our hard money loans, we strongly recommend investors in Tennessee to join the local REIA. It opens up opportunities for business and your likelihood of success. Again, joining a local REIA is not a requirement to qualify for a hard money loan, but the knowledge and business opportunities you find in the REIAs can help you succeed when investing with private money. For more information about how you can boost your real estate investments, feel free to call us at 901 609-2200, or you can submit a hard money loan pre-qual form today.